Yesterday, we had a girl's day at Disney on Ice. 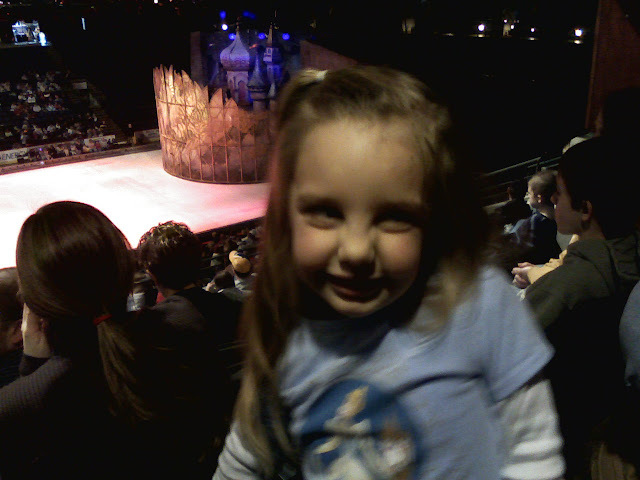 My mom, Grace, and myself went to Columbus' Nationwide Arena to watch the princesses ice skate. I think that Grace's mouth was wide open in amazement the entire time! Before we left to go, she was just sure that she was going to get to go skating with them :) When Cinderella made her entrance onto the ice, Grace puffed out her chest, so Cinderella could see that she had a picture of her on her shirt. We had a wonderful time and great memories to last forever.